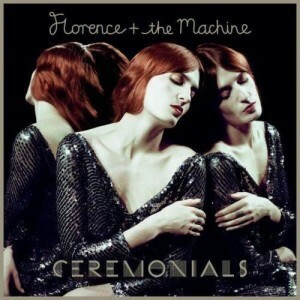 Florence + the Machine have just released their newest album, titled, Ceremonials. This is the band’s sophomore album. The most popular tracks on this album are: “Only If for a Night”, “Shake It Out”, and “Never Let Me Go”. The album all together is very creative, passionate and blissful. Florence Welch’s voice is unique and really makes the lyrics come to life. All of the tracks are very alike in a way; however this makes the whole album appear very peaceful and easy to listen too. The album is appealing to a variety of people and has received excellent feedback from people of all ages. I would recommend this album to anyone that likes soothing music and meaningful lyrics. Ceremonials already hit stores on November 1, 2011. Go pick up your copy today!